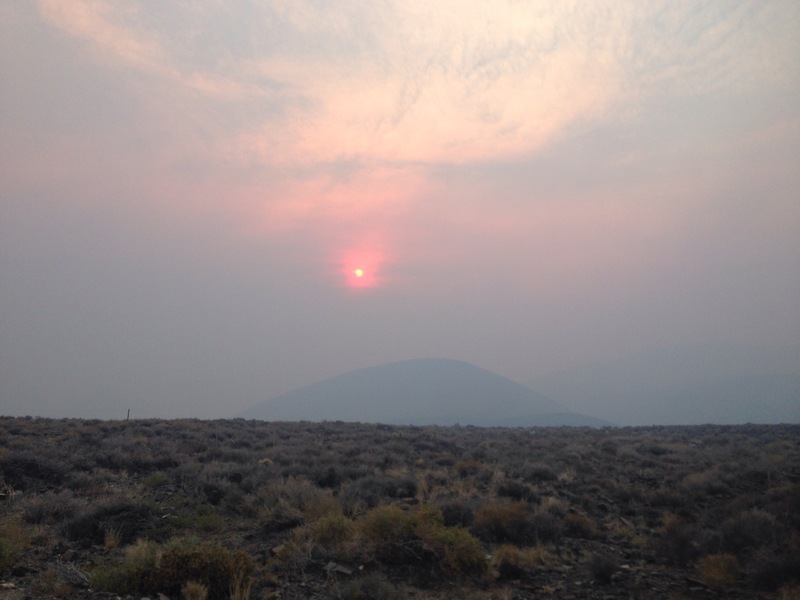 As we drove into California from Nevada, the wildfire smoke became very thick. 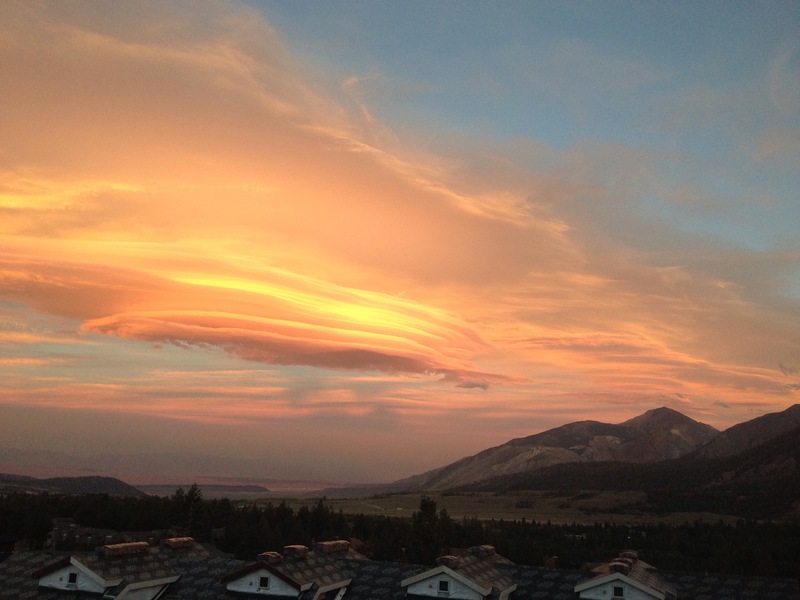 View from the house in Mammoth Lakes on our first night in the mountains. 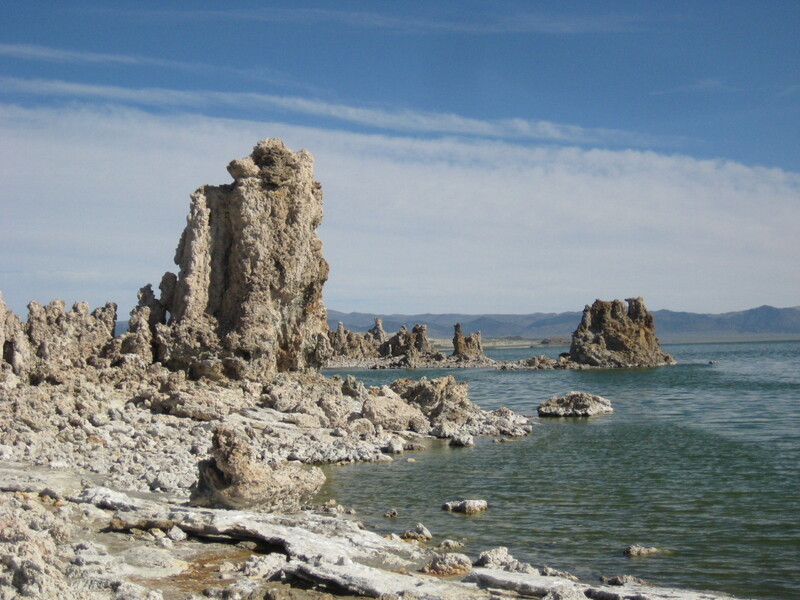 Panorama of Mono Lake. from the parking lot before I put my phone away for the canoe tour. 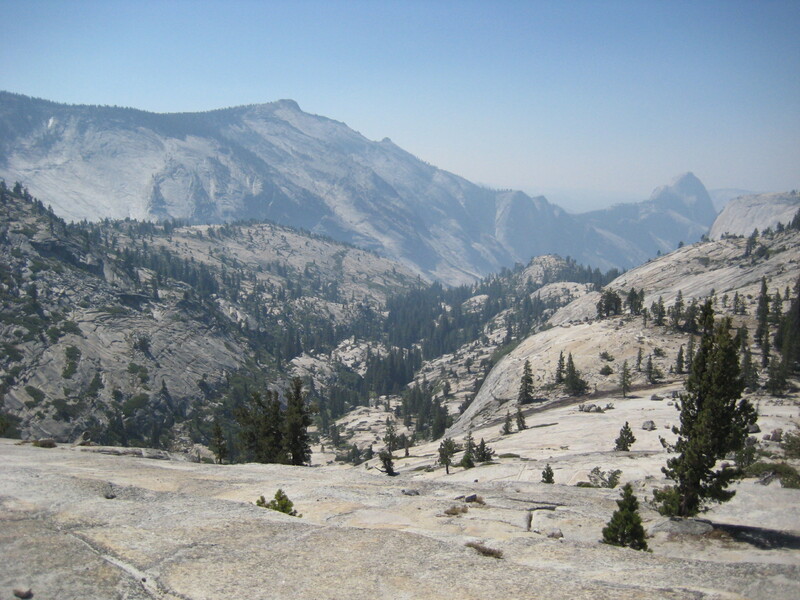 View from the top of Pothole Dome in Yosemite. Another direction from the top of Pothole Dome. 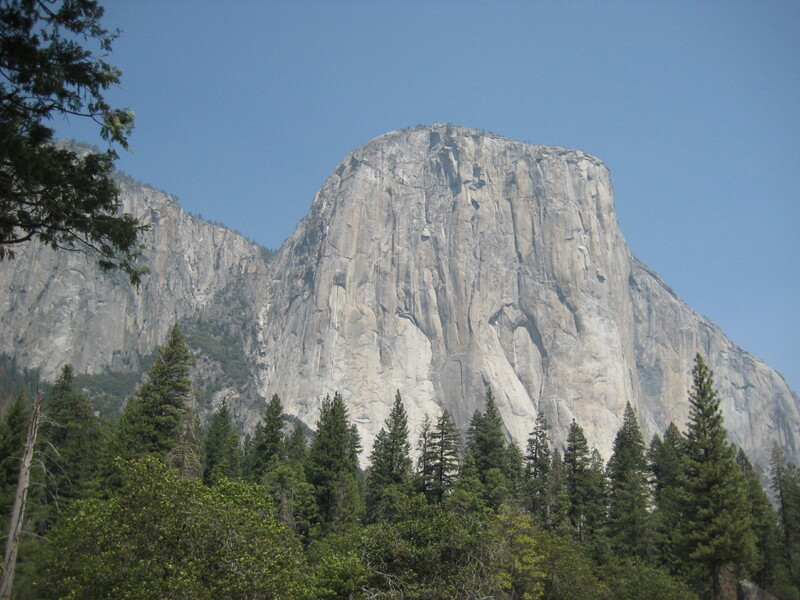 El Capitan in Yosemite. 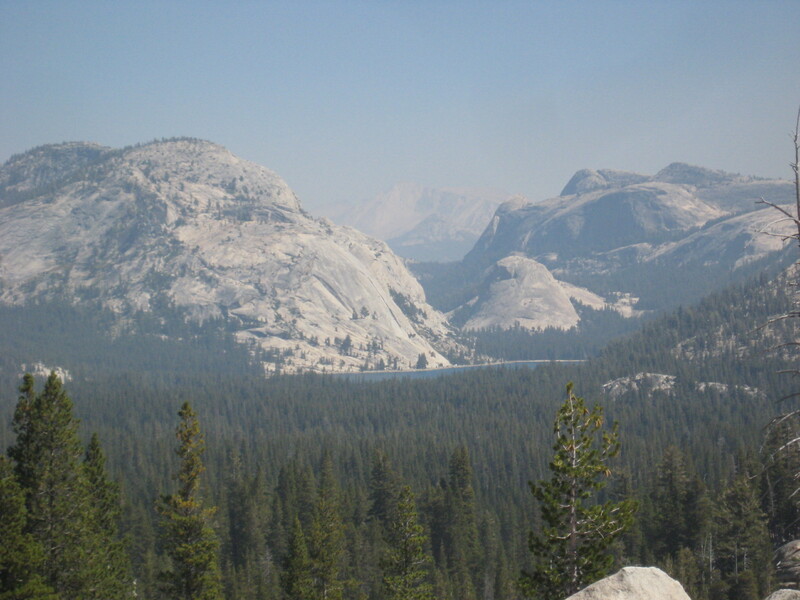 The wildfire haze was less in the valley by the Merced River, but there was a definitely fuzziness to everything in the distance. 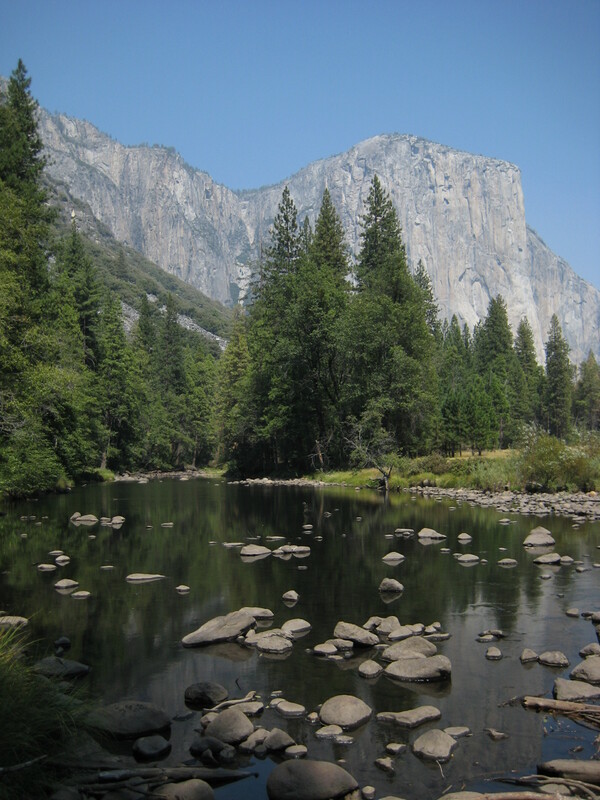 The road through the Yosemite valley winds along the Merced River. Apparently, it’s usually higher. 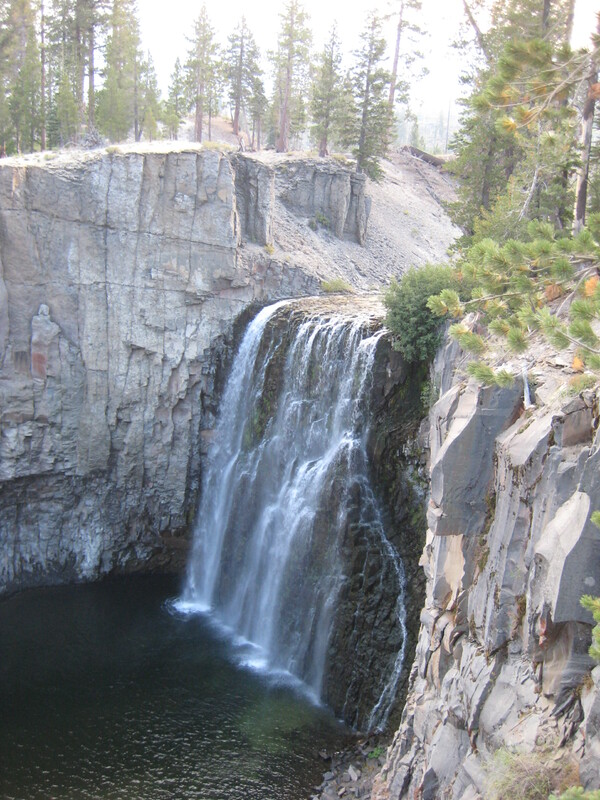 Rainbow Falls. Normal pictures of it show just a wall of water with no distinguishable rocks on the side. 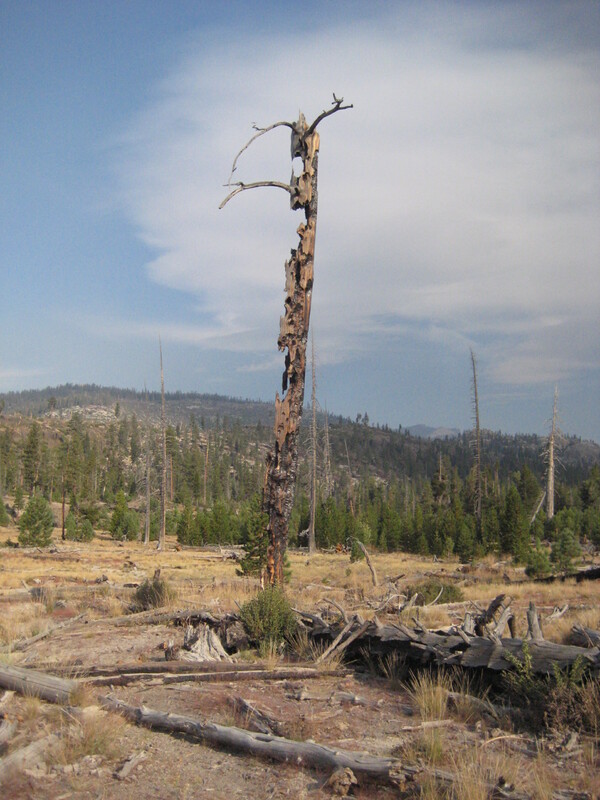 There was a huge fire in 1991 that we saw the effects of. Although small trees and brush are back, there are huge swaths with no large trees at all. 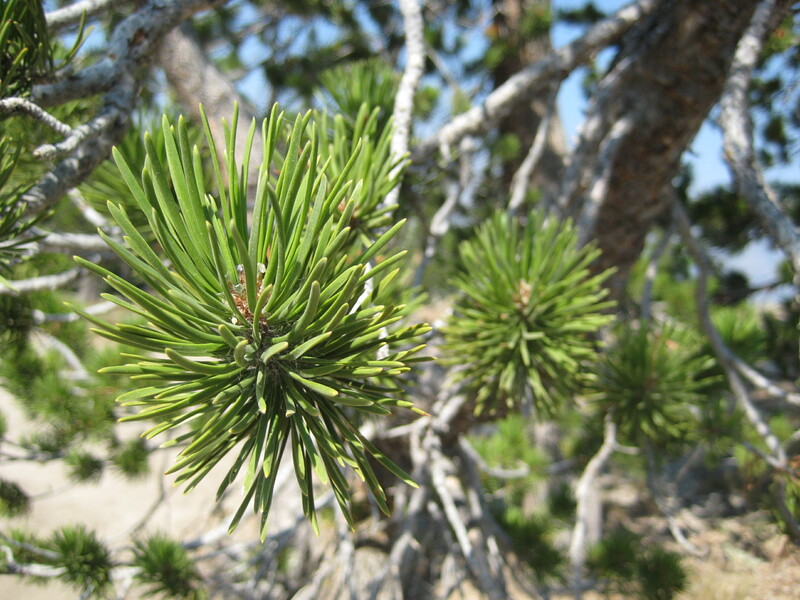 Mono Lake–our canoe tour was cancelled due to wind, but they gave us a walking tour along the shore. 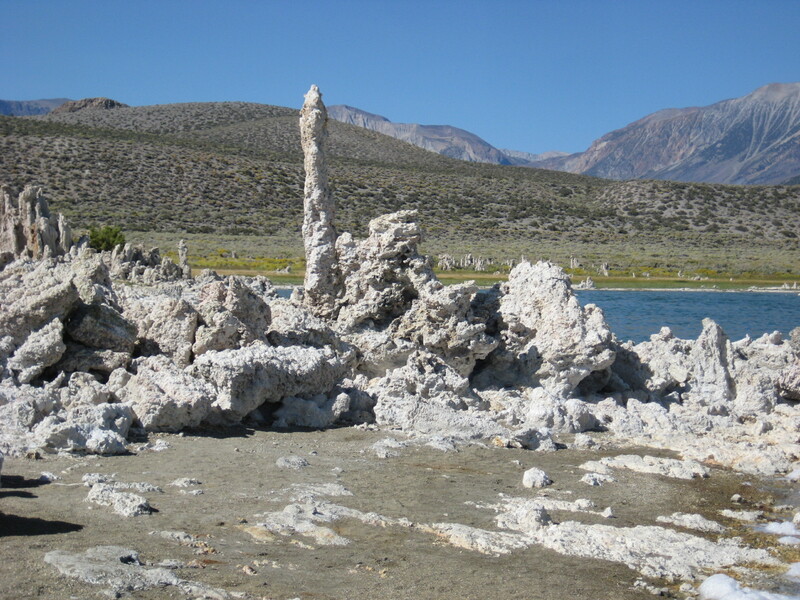 More tufa at Mono Lake.